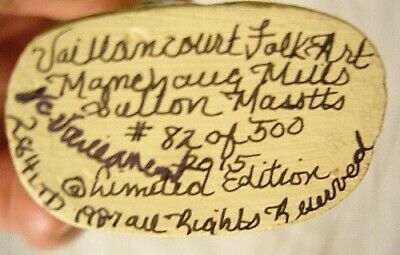 VAILLANCOURT FOLK ART RABBIT WITH UMBRELLA LTD PERSONALLY SIGNED by Judi! No. 284 - # 84 of 500. 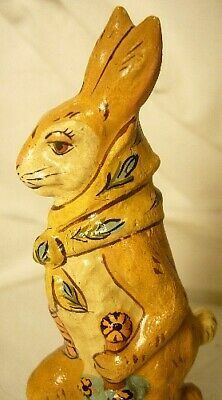 It's a wonderful Easter Bunny with his basket of Easter Eggs beautifully painted and with a nice blue umbrella. It measures 43/4 inches and in perfect condition. Vaillancourt Folk Art Starlight Santa on Chimney personally signed by Judi!